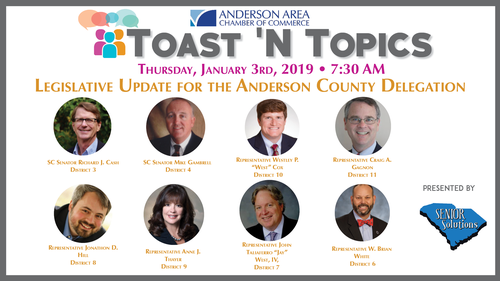 Join us on Thursday, January 3rd from 7:30 – 9:00 AM at Anderson University’s New Student Center. Make your reservation now to hear your Anderson Delegation that represents us in Columbia. They will be talking about the major issues/concerns that will be taken up in this year’s session.